When the Fasco DC Motors plant closed its oper­ation in the Hillsdale Indus­trial Complex in 2003 to relocate to Mexico, Scott Ses­sions lost his job and saw that the city needed a better plan for eco­nomic growth. Though he landed back on his feet after getting an asso­ciates degree from Jackson College and becoming the pur­chasing manager for the Hillsdale Hos­pital, a position he has held for 11 years, he knows that without eco­nomic devel­opment, many Hillsdale res­i­dents will face the same struggles he did. So in 2011, when the city council was mulling over a city income tax to increase revenue, Ses­sions knew he had to fight it and not allow the city to hinder its own eco­nomic devel­opment. It was not as if he was a new­comer to pol­itics. Ses­sions’ son Michael, who is now the City Manager and Clerk for Morenci, Michigan, won the Hillsdale mayoral election in 2005 through a write-in-cam­paign when he, then a senior at Hillsdale High School, was only 18 years old. When he first ran for mayor in 2013, Scott Ses­sions’ cam­paign focused on fixing the crum­bling infra­structure of Hillsdale. In his first term, Ses­sions has worked to rebuild and repair some of those issues. Though opposed to the city income tax, Ses­sions sup­ported the three millage property tax increase, pro­posed by the Funding Alter­native Iden­ti­fi­cation and Rec­om­men­dation (FAIR) com­mittee, which is a sinking fund that should gen­erate over $300,000 in revenue for the general fund with intent for road con­struction. Under Ses­sions’ lead­ership, the city has set aside $965,000 for road con­struction and has reserved an addi­tional $200,000 for road repair. Ses­sions, as mayor, wants to work with the council to improve the lives of Hillsdale res­i­dents. “We are not going to agree on every­thing, but if we can get to a point of com­promise where we can get things passed that can help the city, we can move the city forward in a pos­itive direction,” he said. Ses­sions said he was “dis­ap­pointed” in his opponent in the mayoral race, Coun­cilman Adam Stockford, also a member of the FAIR com­mittee, for ini­tially voting to fund these vital aging infra­structure issues, then changing his stance when the vote came to the city council for rat­i­fi­cation. Moreover, Ses­sions alleges that Stockford had two unex­cused absences when he missed the two budget work­shops where issues con­cerning the millage could have been raised. “All that did was devalue the important work of that com­mittee,” Ses­sions said. Despite outrage by some members of the Hillsdale com­munity, Ses­sions believes that the tax increase was nec­essary for the main­te­nance of the city. “The 2.9 millage is a lot less than the city income tax. We have cut almost every place that we could have cut,” he said. These mea­sures have been taken in order to rebuild Mead, Vine, Garden, and Rippon Streets and repair others in the city through crack filling and resur­facing. These plans are not just cos­metic. For Ses­sions, these improve­ments will make Hillsdale an attractive place to live. 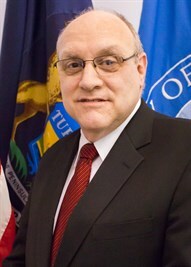 During his term, Ses­sions helped hire new directors for the fire department, the police department, the board of public service, and the board of public util­ities. The new hirings give Ses­sions hope for Hillsdale’s future. “We all want eco­nomic devel­opment and that can only occur when the tools are in place,” Ses­sions said. Perhaps most impor­tantly, Ses­sions helped hire City Manager David Mackie after two other man­agers served for only a short time. Mackie has worked for the city since 2015 and since that time, with the help of Mary Wolfram, the City of Hillsdale’s Director of Eco­nomic Devel­opment, Hillsdale has seen new busi­nesses open like Handmade Sand­wiches and Bev­erages, Core Coil Com­po­si­tions, and Lucky Buck, which operates out of Old Stocks Mill. Ses­sions’ term has also seen the con­struction of the new Center City Apart­ments and the Kroger gas station. There have also been ren­o­va­tions at the 42 Union Apartment building, the Dawn Theater, and the Hillsdale Airport. There has also been an expansion to the Paragon Metals World Head­quarters which created 50 jobs. “The biggest threat to Hillsdale is political insta­bility, in-fighting, and not serving hon­orably,” Ses­sions said. He believes that the sta­bility of the new core of city staff will help devel­opment in Hillsdale. “We have com­petent staff who are capable of doing amazing things to make our com­munity a better place to live,” he said. 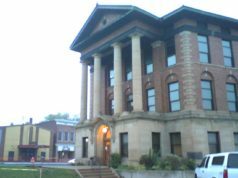 Hillsdale took a big hit in the 2008 recession, low­ering the city’s taxable eval­u­ation from 123 million to 160 million. Ses­sions vows to do all he can to bring some of the wealth back to the city. 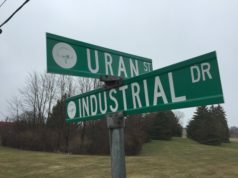 “I will strive to move the city of Hillsdale forward in a way that will provide our com­munity to market itself to potential investors and stake­holders,” he said. Having lived in Hillsdale since 1994, Ses­sions said he has developed a great fondness for his com­munity. Unfor­tu­nately the results don’t fit the hype. Since Mayor Ses­sions first entered public service, the city has suf­fered one eco­nomic setback after another. In fact in these very pages last year, it was pre­dicted the general fund would hit -0- by 2020. Hope, Dreams and taxes only work in the movies. The cities poverty rate has grown to 31% under Mayor Ses­sions watch. It’s time to stop eating the grant candy and get back to work on rebuilding this city’s economy for it’s cit­izens. Depleting the fund, even with record revenue. Somehow got to a bal­anced budget in 14/15. then expenses exploded. Inter­est­ingly enough this post came up last night at the council meeting.… with the city manager saying the article and graph were false. Be aware the graph is lifted right from last years cities budget itself!! 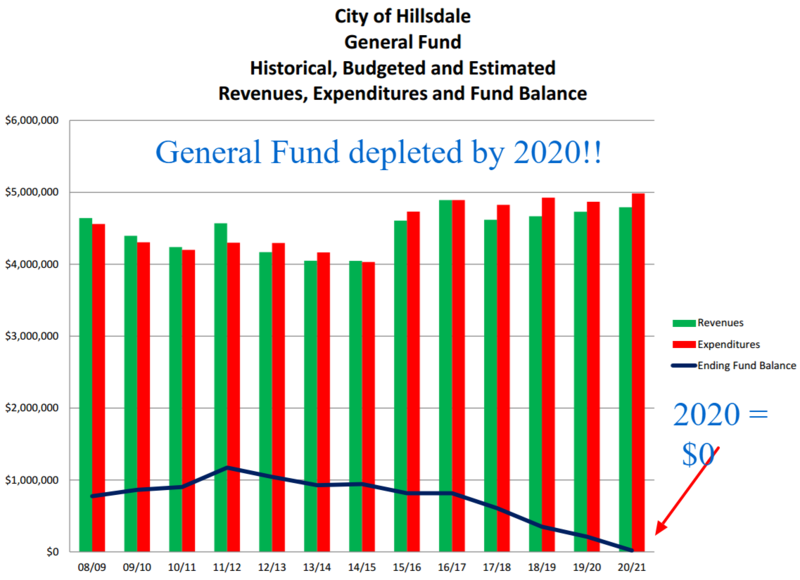 That being said, I have no doubt the city manager can milk this past 2020.… as he said this is just a pro­jection if nothing changes and in his defense he managed a bal­anced budget this year.… but only with dra­conian cuts and a big tax increase. Neither are sus­tainable. So it’s not a matter of if.… but only when, unless this city entirely rethinks it’s objec­tives. The amazing thing about this is that the Col­legian JUST COVERED the fact that Stephen French, the Mayor’s choice of clerk, is a criminal. French was arrested in a pros­ti­tution sting and plead guilty to a gun charge http://www.mlive.com/news/kalamazoo/index.ssf/2009/04/exkalamazoo_clerk_stephen_fren.html but ALSO was accused of breaking election law and thrown out of his clerk job in Kalamzoo. Mayor Ses­sions didn’t do any­thing for this city for years now aside from hire a clerk that harasses the public to shut them up from their free speech and “censor” their crit­icism of the mayor, he hired David Mackie, who has tons of very serious credit problems and was accused of selling unreg­is­tered secu­rities in a scam out in Oklahoma, http://www.wowt.com/home/headlines/Three-Developers-Face-Felony-Charges-170128796.html and fired the airport manager, http://hillsdalecollegian.com/2015/10/airport-manager-had-no-idea-he-was-to-be-let-go/ hiring a con­victed armed hostage taker to run it now https://www.facebook.com/Hillsdale-Municipal-Airport-run-by-convicted-armed-hostage-taker-199837823686432/ giving the guy an 8 million dollar fundraiser to run as an UNSUPERVISED con­victed theif. The mayors son was PROSECUTED for two felony charges and plead guilty while in office http://www.seattletimes.com/nation-world/young-mayors-no-contest-plea-divides-his-michigan-town/ and the Mayor allowed his boss from his day job at the hos­pital to con­tinue on as a BPU trustee even after Duke Anderson was pros­cuted by the FBI and plead guilty to secu­rities act vio­la­tions, http://www.hillsdale.net/article/20150629/NEWS/150629201 all of these things risking the city taxpayer’s and costing the city the loss of it’s good name. He also seems to be VERY con­cerned with eco­nomic devel­opment hand outs, but then why is it that the city EMBARRASSINGLY landed in Emer­gency Man­agement “Rising Tides” https://www.facebook.com/764018483701112/photos/a.765831156853178.1073741826.764018483701112/854604704642489/?type=3&theater which had Hillsdale City tax­payer have to pay for a con­sultant to teach Gary and Mary Wolfram how to develop a “cohesive” eco­nomic plan! They were just giving out money to friends to start busi­nesses, when instead, eco­nomic devel­opment projects are only to bring 1) tax revenue and/or 2) JOBS. How does apartment rehabs that get TAX ABATEMENTS create jobs or tax revenue (see 42 union street project for details on those huge losses to tax­payers). Mayor Ses­sions has been a very big problem in this com­munity, he was not up for the job, and he let his appointees bully him and tell HIM how to run the city and his lack of strong lead­ership CAUSED the “in fighting” that he laments now that he’s forced to run for office and be called out on the things he’s respon­sible for. Stockford is a fighter, he’s a strong voice, a strong person, and has the vision this com­munity needs for the change that should have never been nec­essary, but is, because Ses­sions simply didn’t do his job. I hope people give Stockford a chance to show what he can do, I think he’d VALUE that oppor­tunity and rise to the chal­lenge, unlike what Ses­sions has done, which is basi­cally nothing the whole time he’s BEEN mayor.